Mobile Gaming has transformed in the past decade. Previously, when one thought of mobile gamers all you could imagine was a disinterested teen drowning out the adults around him/her with a mindless game like Tetris. But now casual gamers are actually dedicated to the cause of gaming; with most clocking in almost an hour per day. We've written blogs about their dedication to gaming but what about loyalty to certain games? Do you think that the modern casual gamer with access to thousands of different games would be loyal to a handful? We certainly didn't think so! How Loyal are Casual Gamers? To really understand this, we need to find out exactly how often casual gamers engage with their mobile phone and if this can significantly impact their loyalty to games. So let's begin! 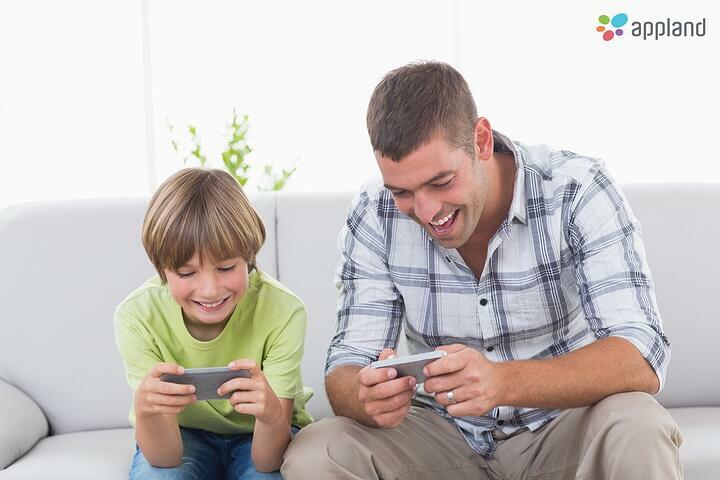 According to a research conducted by AdColony, it was found that 48% of consumers play mobile games everyday. This can mean that they're playing games with multiple levels that take time to be completed and may inspire the gamer enough to play everyday! Despite the obvious abundance of options, casual gamers are prone to being loyal to games. Remember the 20 games you downloaded because they seemed so darn interesting? What game did you actually invest time in? I can bet it was just 2-3 games! Casual Gamers generally exhibit the same tendencies too. According to a recent AdColony Consumer Sentiment Survey conducted in the Fall of 2017, users are constantly decluttering their phones and limit themselves to 5 games at most. 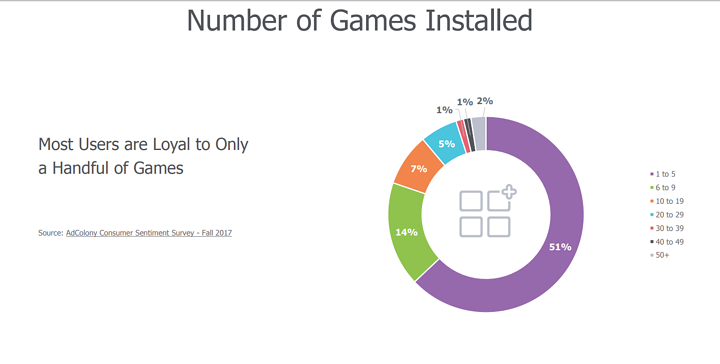 More than 50% of users are loyal to only a handful of games! Previously, gaming companies have always concentrated on creating game after game, hoping that atleast one of them hits the mark. But this research indicates that gaming companies should concentrate on the quality of games and not just building a roster. It really isn't enough to have a Temple Run-like viral sensation, it's much better to entrance gamers for life with iconic games like Final Fantasy, Angry Birds and Candy Crush! What do you think? Do let me know if you think I am delusional or particularly close to the truth in the comments below!